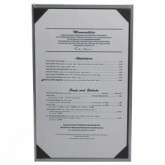 Corner Pocket Menu Covers - restaurant corner pocket menu covers, wine corner pocket menu covers, country club corner pocket menu covers, corner pocket menu holders, corner pocket style menu covers, custom corner pocket menu covers. 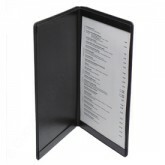 Corner Pocket Style and Single Panel Pocket Menu Covers with a large variety of multiple tier quality cover materials, style formats and insert sizes for competitive and trending hospitality. 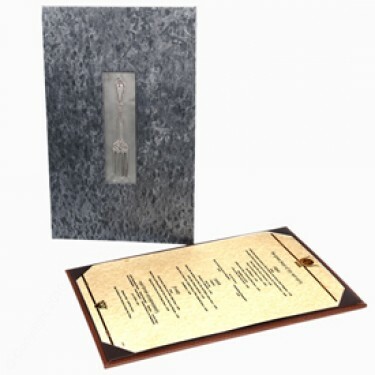 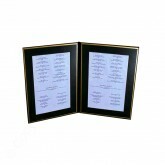 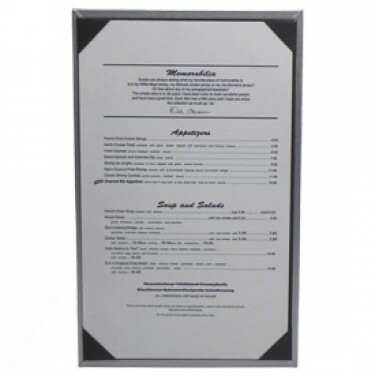 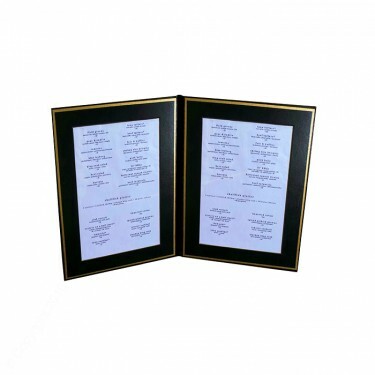 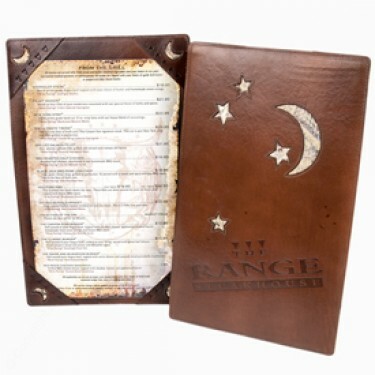 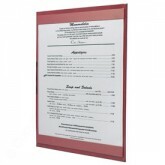 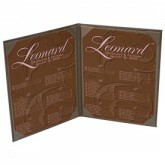 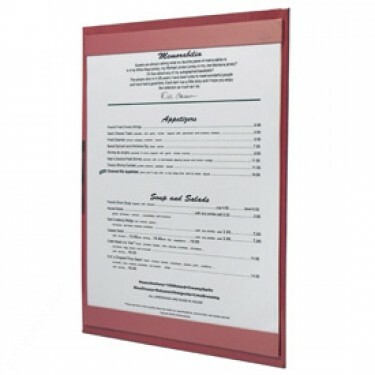 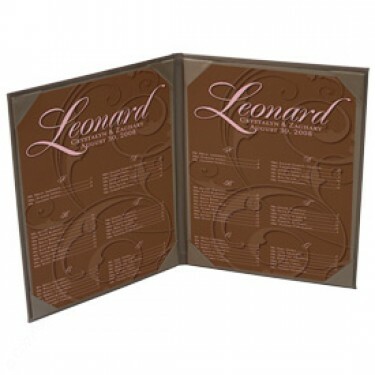 We produce and supply restaurant corner pocket menu covers, wine corner pocket menu covers, corner pocket menu holders, corner pocket style menu covers, custom corner pocket menu covers. Pocket Menu Covers-Double Panel-8 1/2 × 11"
Top Grain Leather Menu Board 14" x 8 ½"
Pocket Menu Covers-Single Panel-8 1/2 × 11"
Top Grain Leather Menu Board 8 1/2" x 5 1/2"
Pocket Menu Covers-Double Panel-8 1/2 × 14"
Pocket Menu Covers-Single Panel-8 1/2 × 14"
Pocket Menu Covers-Single Panel-5 1/2 × 8 1/2"
Pocket Menu Covers-Gold Matted Liner Double Panel -5 1/2 × 8 1/2"